Congratulations with your father's birthday. Gorgoeus and funny face you made and gave your father's. Great idea. Gives me inspiration. Thank you Margaret! I am glad it gives you inspiration. That is just too adorable!!! I am sure he was happy to get that. You so need to make a crochet pattern for it. hello! 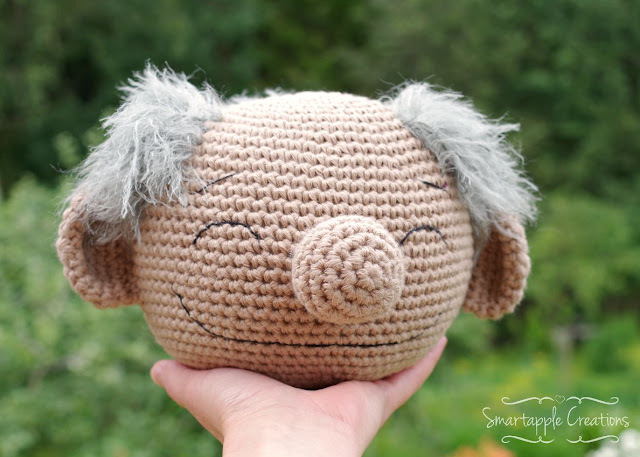 this is very cuteee and you inspire me to make this one for birthday gift to my father, do you share the pattern for makin this one? thank you. I'd love to make the old man glasses holder for my hubby. For your father. Could you please let me know if it is still available. Thank you Sue. Hello Sue! There is unfortunately no free pattern and has never been. I do not know where did you find the reference that it is a free pattern. This must be some misleading link that has been added by someone else and not me. 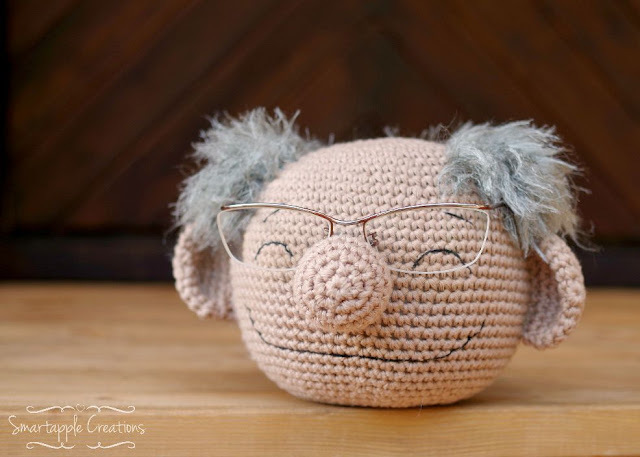 https://thewhoot.com/crochet/crochet-glasses-holder this site says the pattern for this cute head is free. Hello Julia, I do not know why they say that because I have never written a pattern for this eye-glass holder.